The Korean dish often referred to as kimchi pancake should be instead called by the romanization of its actual Korean name, kimchijeon, claimed a cyber organization promoting online diplomacy, Wednesday. 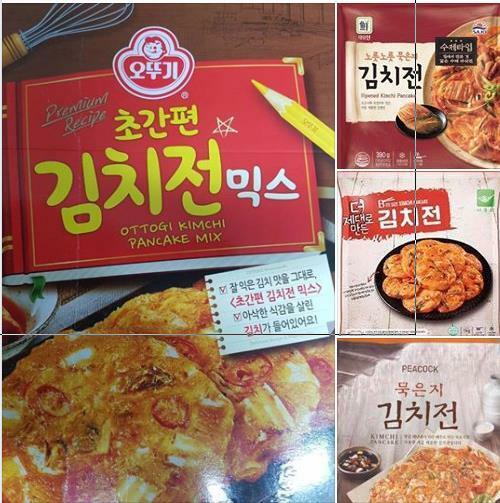 Voluntary Agency Network of Korea is raising questions over the readymade packages by firms here that label their products as kimchi pancake in English. According to VANK’s field research, Ottogi and Sajo, as well as most of the food firms, are promoting kimchijeon as kimchi pancake. “Just because the world is more familiar with the concept of pancake is not a valid reason to use a foreign name for authentic local food,” said VANK. Take cue from Japan’s sushi and ramen, it said. “As Korea makes efforts to globalize its culinary culture, there appears to be a need to avoid calling Korean foods by foreign names, especially if the products are being sold in Korea,” VANK said. VANK suggested the companies instead use the government-backed romanized names for the foods the Ministry of Agriculture, Food and Rural Affairs publicly endorsed in 2009. In 2009, the Ministry, along with Ministry of Culture, Sports and Tourism, Ministry Of Foreign Affairs, Korea Tourism Organization and Korea Foundation, with the advice from the National Institute of Korean Language, sought the project to correctly romanize some representative Korean food. The outcome being: kimchijeon, gimbap and kimchi bokkeumbap (kimchi fried rice).